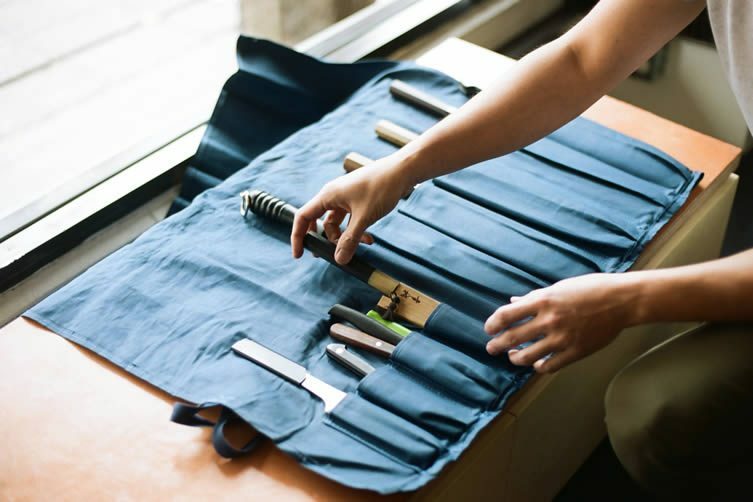 Working in professional kitchens for over 13 years, Vancouver-based chef Douglas Chang knows a thing or two about knives. 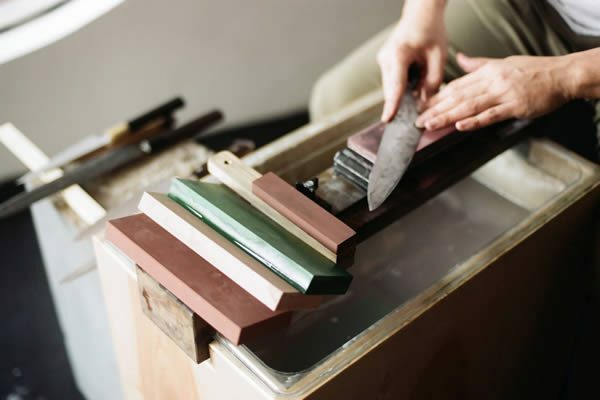 Fired by a growing passion for quality tools, he opened Ai & Om Knives earlier this year. 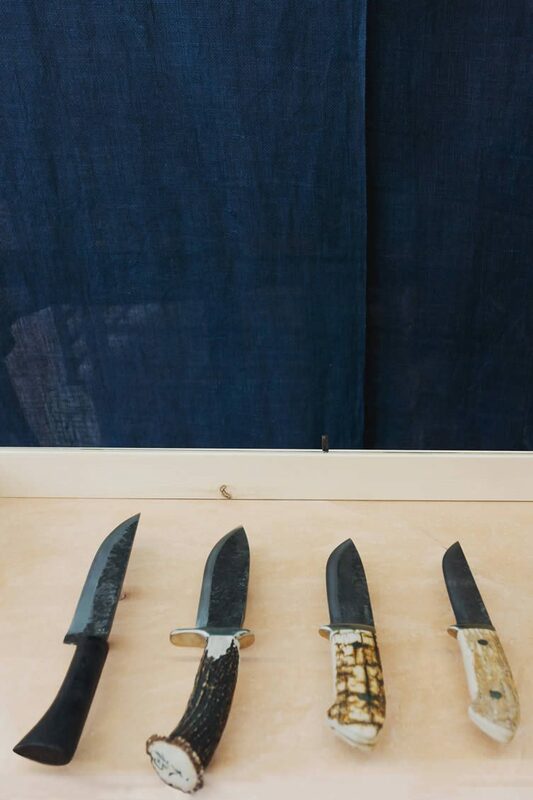 Translating as ‘Love & Care’, the shop sells a collection of implements — knives, axes, chisels and planes — that hail from small production blacksmiths, primarily of Japanese origin; like Takeda, Konosuke, Akifusa and Nenohi. 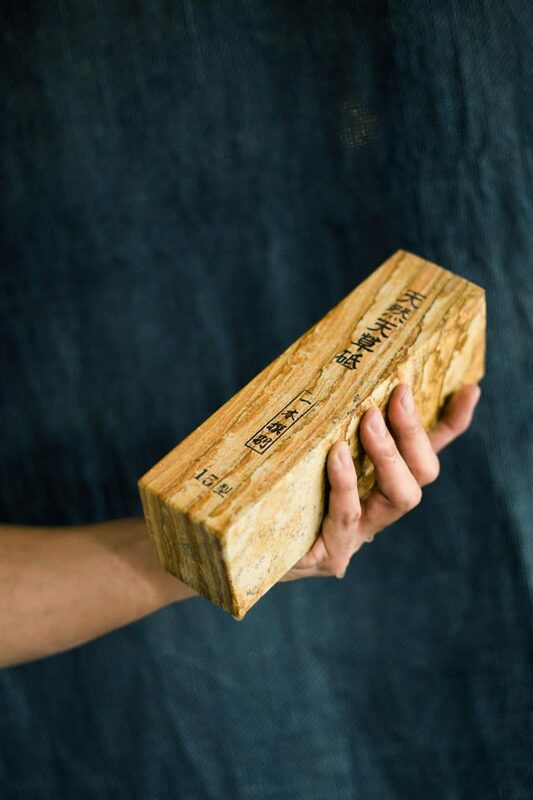 Directly sourced from Japan, Chang oversees a commitment that ensures Ai & Om Knives work solely with family-run shops where craft has been passed down through the generations. 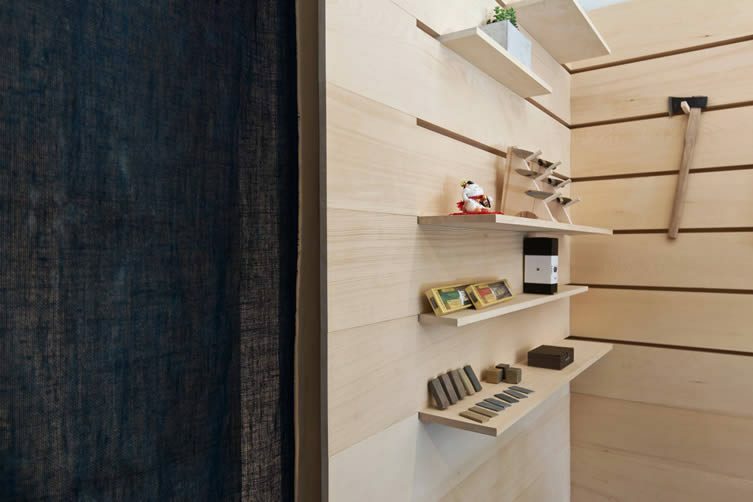 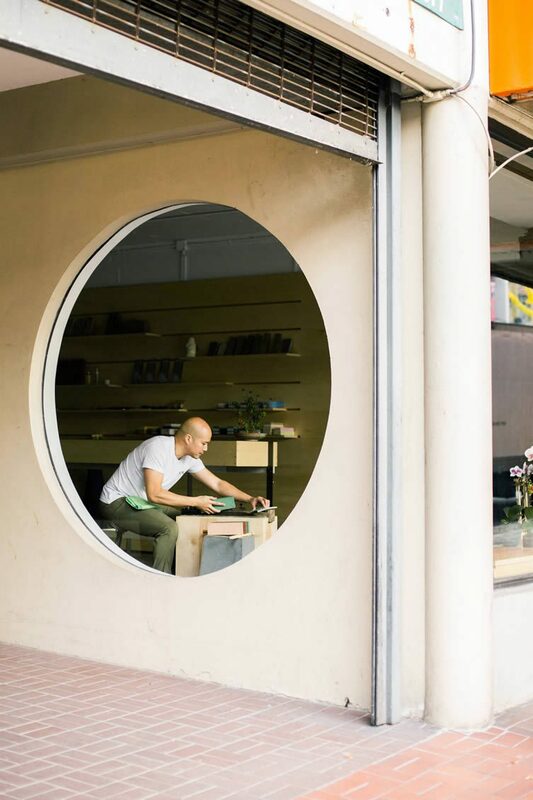 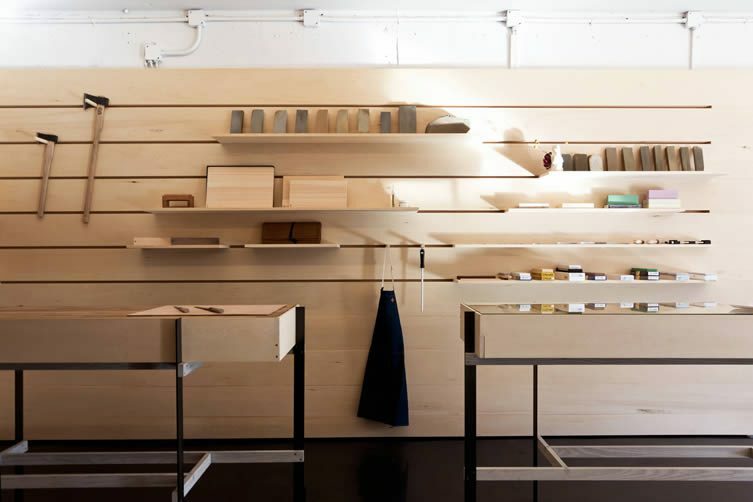 Located in Vancouver’s Chinatown area, the storefront compliments neighbouring stores — something Scott & Scott Architects (who we’ve previously seen at spots like Torafuku and Mister) took into consideration when designing the airy space. 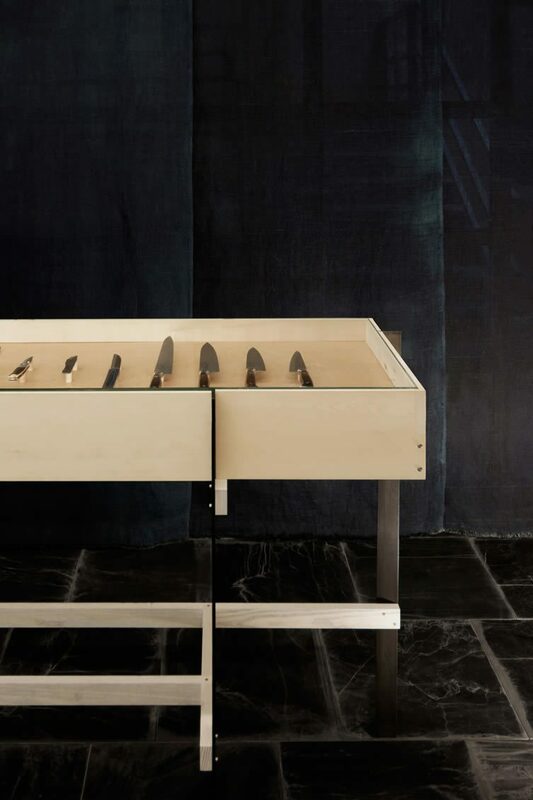 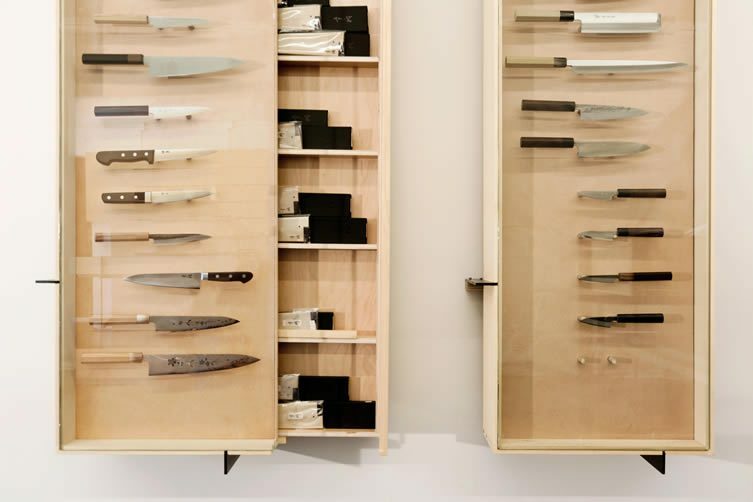 Measuring slightly over 900 sq ft, the knives take centre-stage; housed within a system of cases designed to both display and store their select inventory. 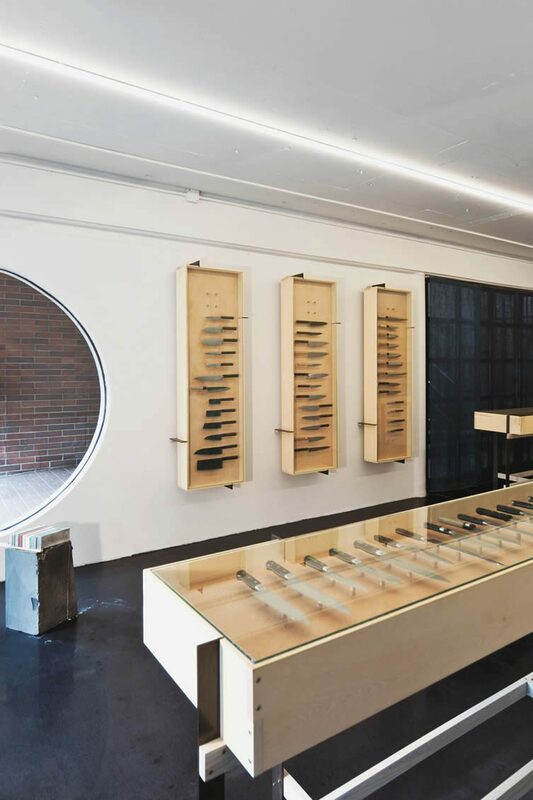 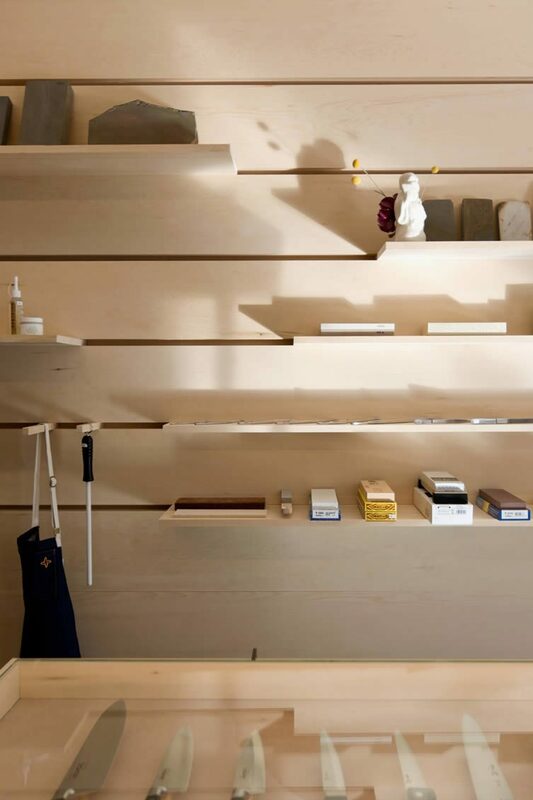 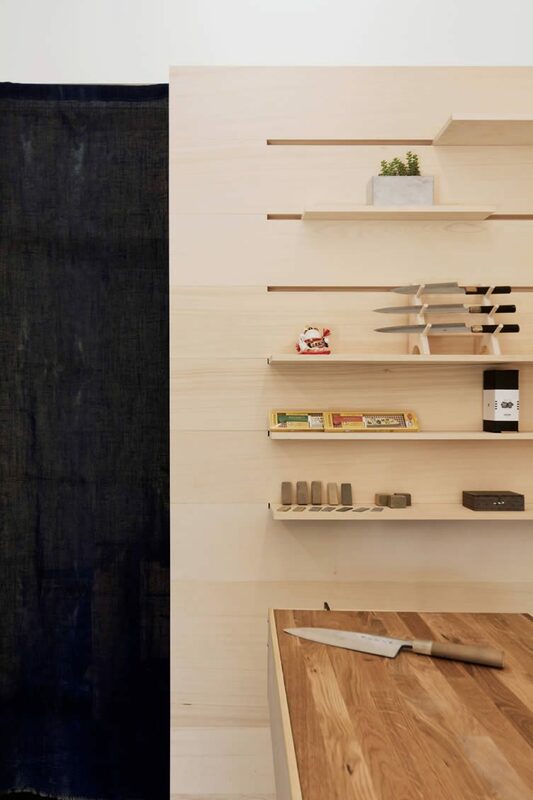 With a modest budget to work with, Scott & Scott stripped back the building, made use of existing materials, and added shelving and display cases that compliment the products’ sharp aesthetic.